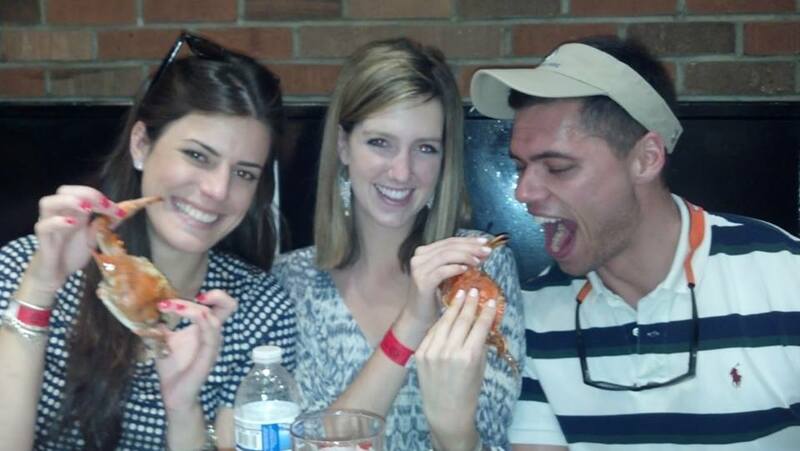 This past weekend, my friends and I went to a crab bake just outside of D.C. It was a little out of my comfort zone, because the only crab I'd ever eaten was in the form of crab cakes, so I was a little intimidated when I sat down in front of a pile of crab and had to use a wooden mallet and my fingers to dig out the meat. 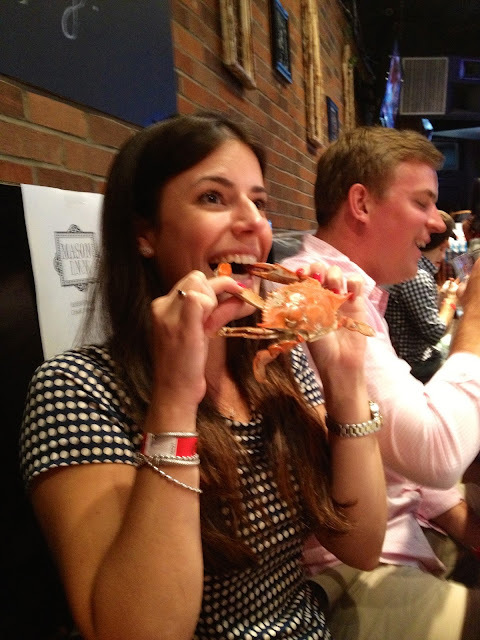 It was all you can eat style, and although I cracked open at least a dozen of those sea critters, I think I the amount of crab I consumed only amounted to one full crab -- it was a tricky job, but a good time with a bunch of friends! 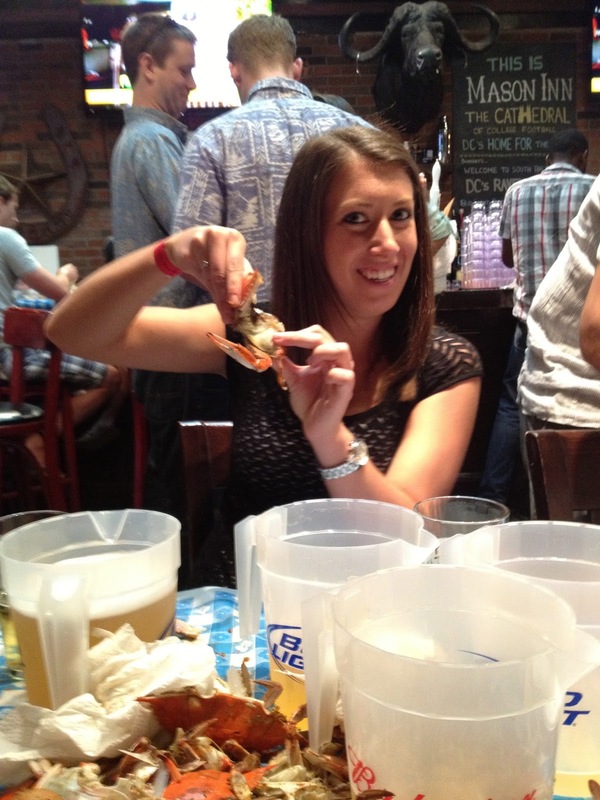 I have never had crab before because the midwest I think just butchers it! That looks so yummy and so gorgeous!